Out of the rapidly expanding hip hop scene in Tanzania is the group X-Plastaz. The group is made up of several rappers and singers of different age groups and genders, as they also employ female emcees like in the powerful anthem “Furaha” as well as others. 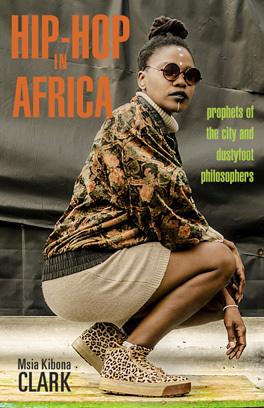 It is a goal of the group to keep in mind the purpose of hip hop and to truely create a unique and useful artform out of African culture with world wide influence. They refer to their music as Maasai hip hop which utilizes traditional Maasai musical elements as well as hip hop styled beats. They speak to the youth concerning subjects of everyday life in Tanzania like prison, AIDS, economics of working like job issues and unemployment. One of the most outspoken in category of rapping with a mind for the oppressed was founder Faza Nelly. He was stabbed and died in 2006 but not before recording an X-Plastaz classic “Nini dhambi kwa mwenye dhiki” Their music does a great job of blending cultures, showing the importance of tribal values and traditions as well as appealing to a globalized youth. They are one of the biggest groups in the Tanzanian hip hop world and have achieved international recognition as can be seen with X-Plastaz Gsan on the BET Cypher with KRS-One.